Bought a Silent Scope PCB recently. 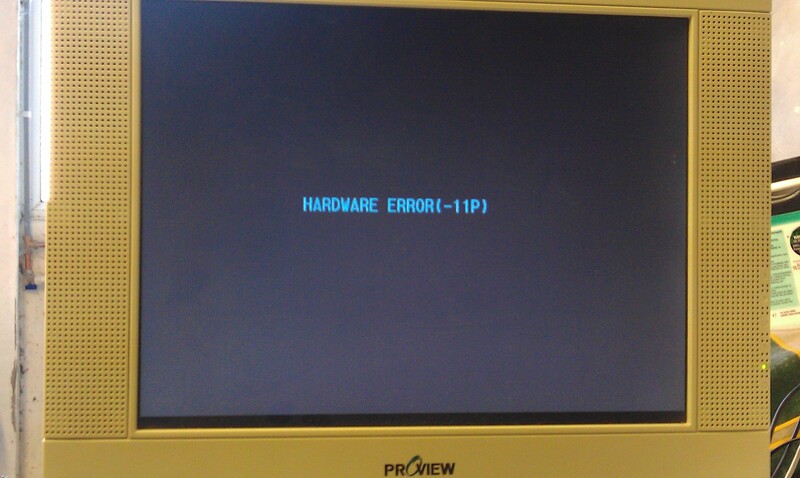 It had the “Hardware Error 11P” fault which is known to be cause by the battery failing in the TimeKeeper RAM. Since the contents of these RAMs are in MAME I thought id fix one up which was probably a stupid idea as I dont have the setup to actually use it, but at least I know I can fix these now. To get this thing booted up I modified my ATX power supply that I had previously modded to run my NAOMI setup. 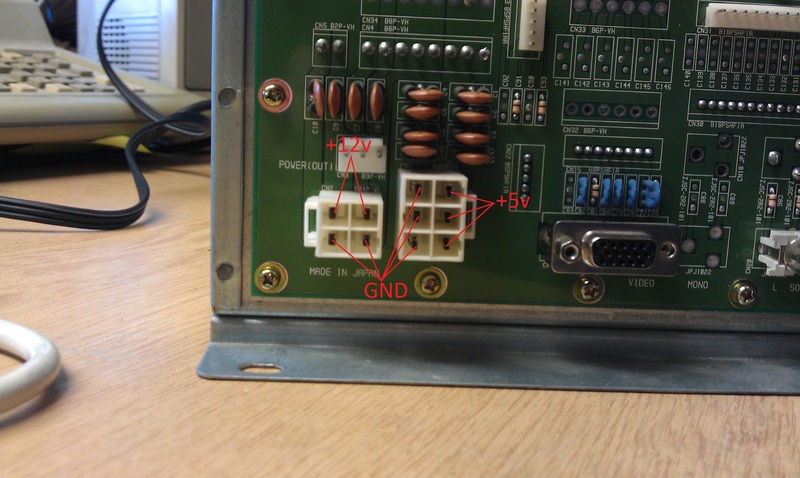 The power connection are labelled in the picture. 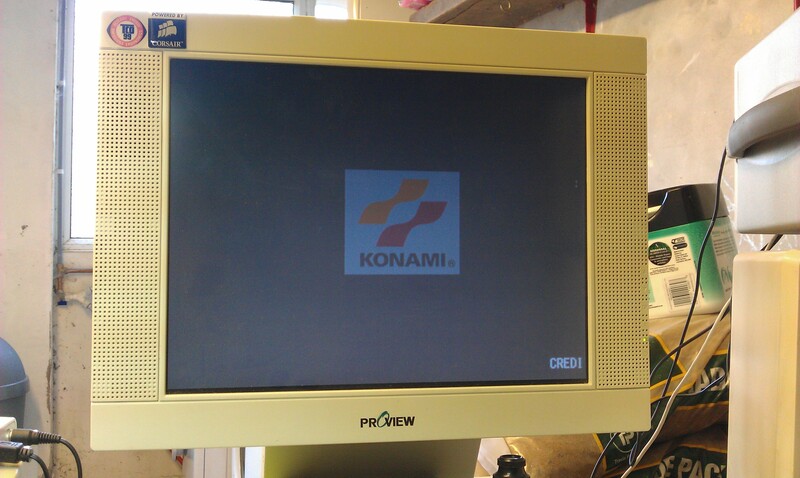 I had to run the VGA output through a standards converter too, it must be 31kHz. 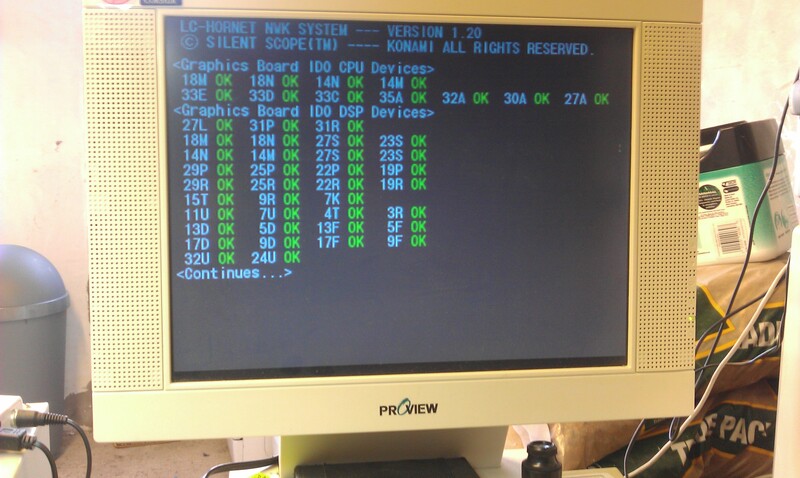 Once it was all fired up I was greeted to the startup procedure which consists of what look like RAM/ROM checks. All these passed but then it just hangs on the fault screen for a bit then resets. 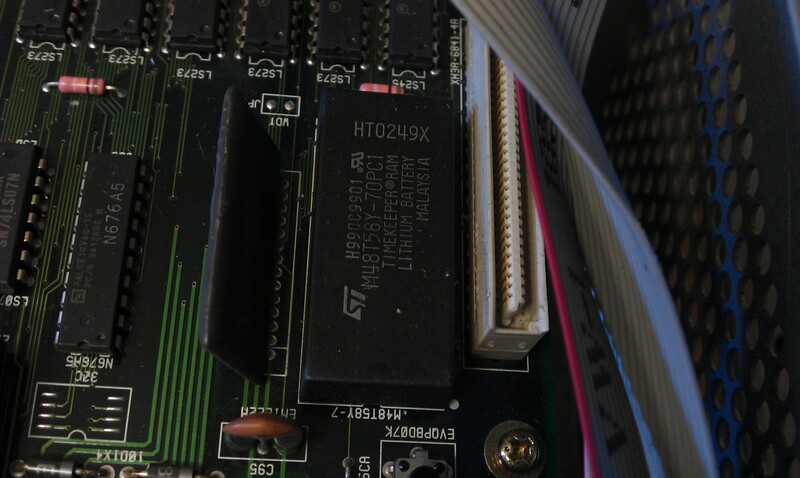 The TimeKeeper RAM is located on the top board of a 3 board stack. I removed the board and set to work desoldering the old RAM chip. 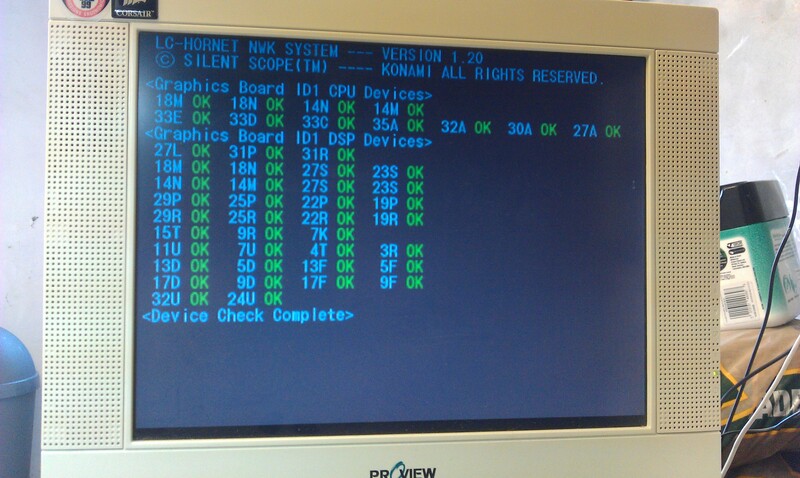 It went smoothly considering it had the signature Konami thin traces and small through holes, the RAM just dropped out. Thought it best to fit a socket in case of any problems with it in the future. As this version shows up as v1.20, the RAM dump needed if from set UAB. 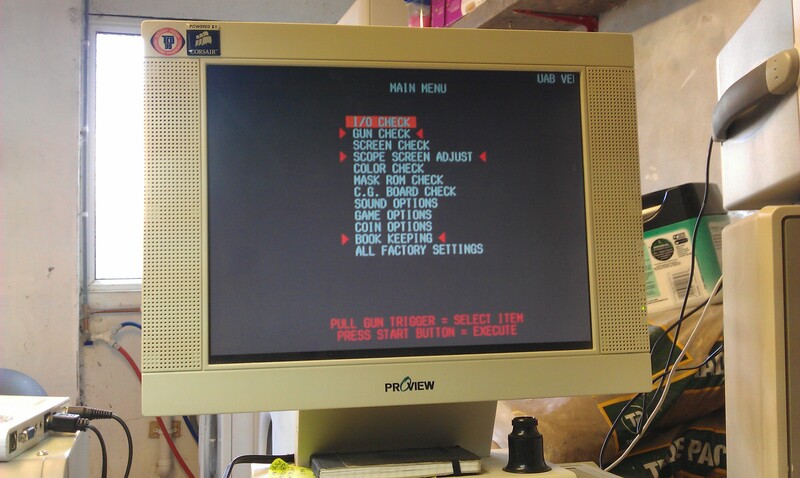 I did try reprogramming the original but it didn’t hold the data. After fitting the new RAM the game booted to the test menu. 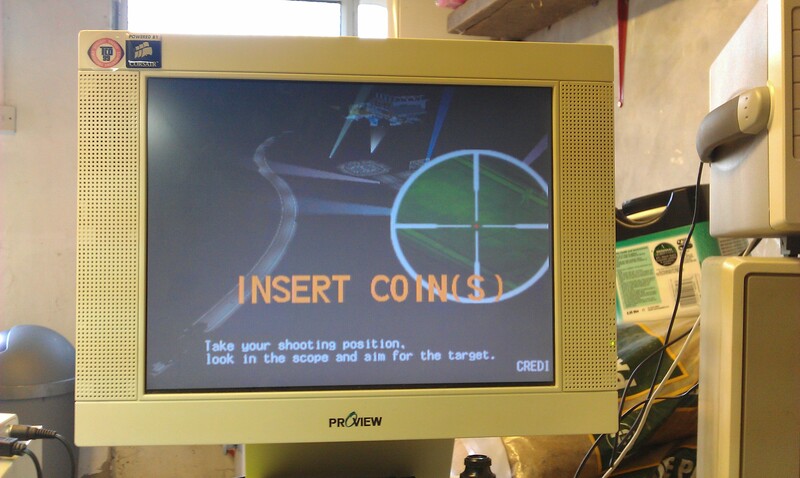 After working my way through the menus using the pins on the I/O board I was able to finally fire the game up. 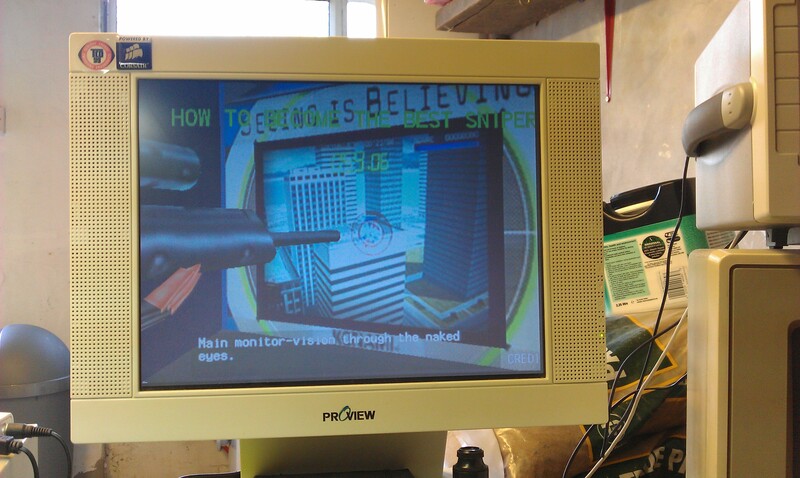 So, I have verified that the sound works, the game boots and the digital inputs are working. I have no reason to believe that the rifle wouldn’t work if connected. If you have an Arduino and fancy testing out my Timekeeper programmer ‘sketch’ then you can download it from the Downloads section. It worked for me but I make no promises it will work for you. Its a basic proof of concept and could do with being developed.